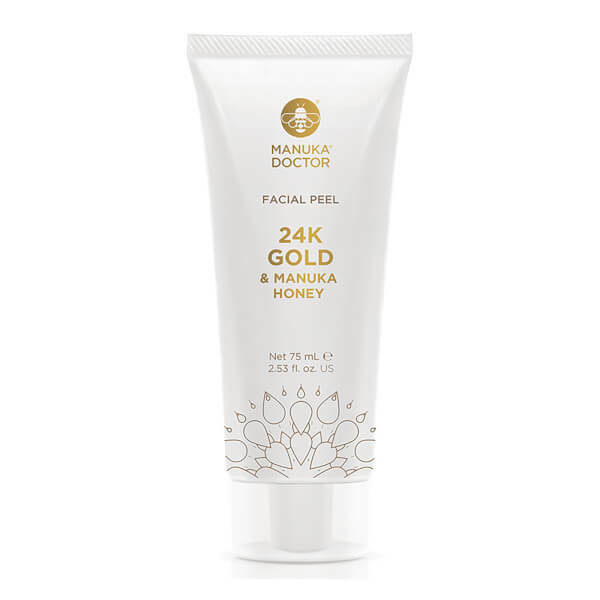 Illuminate your complexion with the 24K Gold Facial Peel from Manuka Doctor. 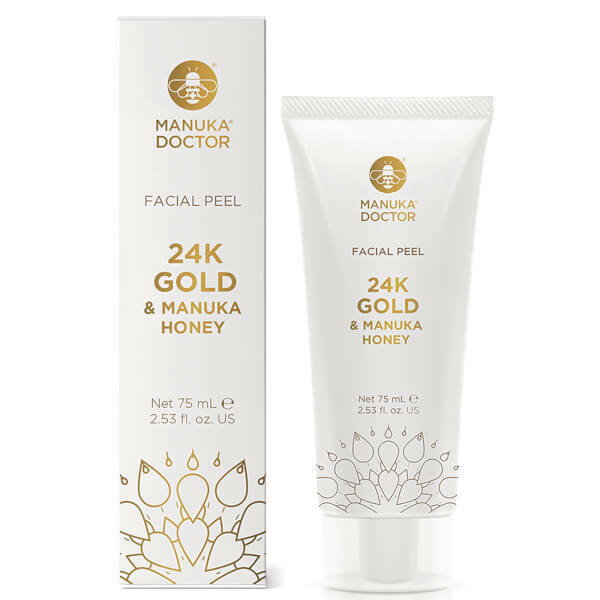 Synergising Manuka Honey and the brand's innovative Purified Bee Venom (PBV™), the luxurious treatment improves suppleness and elasticity, and targets fine lines and wrinkles for a younger-looking appearance. Fortified with Kaolin Clay, the peel-off mask expertly draws out dirt and impurities, whilst 24K Gold revitalises dull, tired skin to unveil a radiant, glowing complexion. Expect a brighter, more refined visage with visibly tightened pores and long-lasting hydration. Easy to use. Paraben, phthalate and SLS free. After cleansing, dry face thoroughly and apply the peel to the whole face, smoothing into a thin layer, leaving plenty of space around the mouth, eyes and eyebrows. Allow to dry for approx 20 minutes then peel away working from chin to forehead. Use a ball of removed peel and dab at any remaining pieces to remove.